Travel Log 9: “Exploring Stereotypes” by Samantha Prevot. Notting Hill, London, England. I think Americans have developed their stereotypes of England, and London in particular, from what they see on TV and in movies. I believe that as Americans we tend to see British people as “posh”, proper, and more reserved than we are. I think we also expect London to be a rainy, dreary place where there are only a few days of sunlight. Coming here has made me realize that most of those stereotypes are not true. The reason why we see the British as having that “proper” accent and being so posh is because a lot of actors from England are from the upper classes and speak and act in that way. Also, many television shows and movies revolve around that class of English people, especially the royal family, who would of course only behave and speak in a “proper” manner. In reality, there are many, many, kinds of English accents and not all British people are reserved and fall under the category of “posh”. 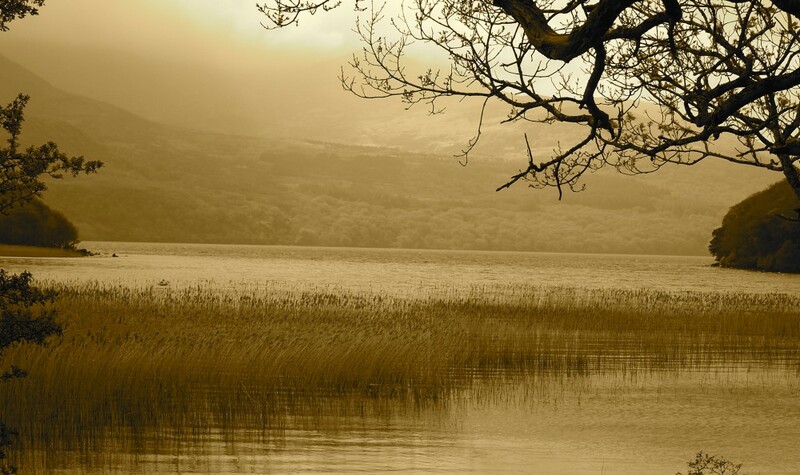 In fact, when we think of British people, we only think of people from England, but technically “Britain” includes Scotland, Wales, and Northern Ireland in addition to England, and each country has its own cultural traditions and accents. There are also stereotypes about how much the British drink tea, which is mostly true, and the plethora of pubs that line the city streets, which again is mostly true. Yes, I have definitely found that generally Brits are less likely to approach a stranger and start talking to them, and they generally keep to themselves in places like the Underground, but they are not as cold as some people think. And they also love their small talk, especially about the weather. But that may also be because they have their own stereotypes of Americans that include believing that we are much more approachable and easy to talk to. It has also become apparent to me that the Brits love to talk about politics, and think that it’s okay to immediately ask every American they know about Donald Trump. It hasn’t necessarily infuriated me, but I do feel annoyed every time I am speaking to a British person and after they ask, “Are you American?” the second question is always “Did you vote for Donald Trump?” or “How do you feel about Trump?” I would never ask them about Brexit, as I know it is a very dividing issue in the country at the moment, so why do they feel the need to pry into an issue of the same magnitude in my home country? I appreciate their interest in politics, but I would prefer if they talked to me for a little while first before deciding whether or not I’m the type of person who would want to discuss my country’s new president. I definitely think this stereotype of sorts was created partially to fill this “vacuum of knowledge”. While I’m sure news outlets here covered the U.S. election, I’m sure a lot of details were left out, and only the big stories were presented to the public. I think people here aren’t aware how strongly people feel about the issue, whether they’re pro-Trump or anti-Trump, and they aren’t aware that it actually makes some people extremely upset and uncomfortable to talk about it. Especially since most of us have been in London since before the inauguration and haven’t really felt the impact of this presidency yet. So I’ve just learned to tell people I didn’t vote for him, I don’t really like him, and try to leave it at that. The picture I chose to show that depicts an American stereotype of England is a stereotype I have not yet touched upon. In the picture, the American police officer is vicious and intimidating with pointed teeth and a wide variety of weapons, and he is called a “cop”. Meanwhile, the British “policeman” is automatically presented as more sophisticated and proper by his label, and is shown as more timid and implicitly harmless by only carrying a nightstick as a means of warding off criminals. To me, this is saying that in the eyes of Americans, our policemen are scarier and more intimidating, while British policemen are not to be feared as much. I think this is a false view to have and it comes down to the differences in American and British laws. England has much stricter laws about things such as gun control and, generally, there are less violent crimes to speak of in places like London. Here, it seems like one of the most common crimes is the ft, with criminals on the Underground stealing people’s cell phones amongst other items. London also has a “CCTV” system in place, meaning that there are security cameras throughout the city, which are constantly monitored by police and security officers to seek out any possible criminal activity. Unfortunately, the United States has a more relaxed view on gun control, and we do not have a CCTV system like in England, so our police officers must be more “equipped” to deal with these possible threats. Also, major places such as big train stations, attractions like Buckingham Palace, etc. have armed military officers that can keep people safe and apprehend anyone that may be breaking the law and carrying a weapon of some sort. I have never felt like the law enforcement here were less strong or intimidating than in the U.S., and I have never felt unsafe even when I was on the streets very late at night. I think there are some Americans that think the British people are weaker because of their lack of guns and heavily armed police, but I actually prefer that to the extreme level in which we arm our police, and I definitely prefer the stronger gun control laws. Overall, I feel like I’ve learned that the British people, well the people of London that is, have a “hard shell” of sorts and once you learn how to break that shell and start getting to know people, they are just as open and nice as Americans can be. I have also learned that there are a wide variety of English accents, and not all of them are easy to understand. England is very culturally similar to the United States and I have begun to adopt their love for tea, but not so much the love for small talk about the weather. I think travel is good to eliminate stereotypes because, as Adel wrote, what we lack in certainty, we make up for in understanding. During my time in New Zealand, I have had the opportunity to encounter people from all over the world. Dunedin especially holds a varied cultural center. Visitors from the U.S, Australia, Asia, Germany, and Polynesian islands are all common sights in town. My time abroad has allowed me to garner more knowledge about different cultures and religions. One stereotype that I have reconsidered was that of the Maori people. Although I did not know much about the Maori people, I already held assumptions about their operations. I had assumed that the Maori people’s opinions held little weight in politics and other important matters. I was so used to the way the Native American’s were treated here and assumed the Maoris are treated in the same way. However the situation is quite different here. Maori people hold their own political party which holds a significant amount of power. Furthermore government organizations take Maori beliefs into consideration. For example, police have the ability to spiritually cleanse a crime scene in order to make it noa (or make available for everyday use). Hospitals use certain elevators to transport the dead and label them in order to let people know which elevators are tapu (sacred). Within my host culture I have learned that there is a stereotype with Asians. There are many Asian tourists who come to visit New Zealand and they carry their own cultural values. Some people in New Zealand see these tourists as rude, obnoxious, and constantly in the way. There is also a stereotype that Asian tourists are poor drivers. Granted not all Kiwis think this way, but there have been a substantial number of encounters where I have witnessed such comments. Based off of current events, many Kiwis believe that the majority of Americans are Donald Trump supporters. I have received these assumptions in casual conversation and in one of my lectures where my teacher referred to a Trump quote solely because there was a large number of Americans the class. Clearly this stereotype isn’t justifiable, not every from America supports Donald Trump. One of the stereotypes I had about New Zealand was that all of Kiwis would be highly interested in outdoor activities. While there are Kiwis who love the outdoors, I have also met a substantial amount who absolutely despise the outdoors. One of my Kiwi friends said, “I can’t wait for it to be winter so I can sit inside and do nothing.” Clearly this stereotype was not valid and each person is unique and has his or her own interests. 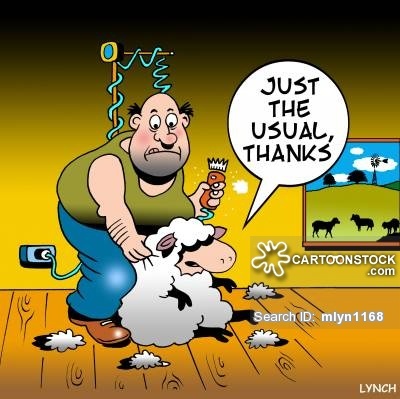 The cartoon I chose was an image of a person shaving a sheep. New Zealand is known for its extensive sheep population and many people assume that is all that is around. The sheep is saying just the usual because when you sheer a sheep, you only shave off all of the wool. I have learned that although there are a lot of sheep in New Zealand, it does not take many people to maintain them all. For example, my Kiwi host had worked on a sheep farm for three years. On his farm he only had two other men and a sheep herding dog. This small team was responsible for about 5,000 sheep and I think this clearly shows that not everyone needs to own sheep. New Zealand may be a country with a lot of nature and agriculture, but they still have industry, business, and an extensive amount of other opportunities available for employment. When a student decides to study abroad, they must not only accept the physical and symbolic separations of the home culture, but assimilate to an entirely different one as well. Naturally, the sojourner will juxtapose the cultures in an attempt to understand. This is the moment when many stereotypes arise. These all-encompassing terms exist as a way of categorizing certain facets of a culture. 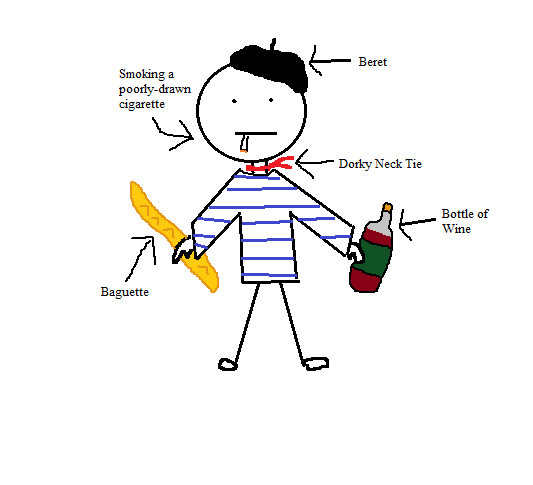 To Americans, the French (particularly Parisians) are snobby, stripe-wearing chain smokers who carry a baguette in one hand and a beret in the other. While some of these descriptions may ring true, it is unjust to classify a city of eleven million people, consisting of Paris itself plus its conglomerating suburbs, under a specific yet harsh definition. (For instance, I could count the number of people I have seen sporting a beret on one hand). One particular hurdle I will overcome by the end of my semester is adopting the softness with which the French speak. They also tend to speak rather quickly, although probably their natural pace, and only quasi-pronouncing words. Therefore, the French view Americans as loud speakers who over-annunciate. This, however, is very apparent on the Metro, especially if I am with fellow Americans. The boisterous, and not so auditorily pleasing English drowns out the eloquent mutterings of French. That is not to say that English is an ugly language and French is the best in the world! In contrast, every time I visit Franprix, the cashier asks me, just above a whisper, if I have a “compte fidelite.” I have yet to understand him the first time and must ask him to repeat the question. Speak up for the deaf Americans, please! I have found this same issue at boulangeries and clothing stores. I do not understand this, as my host mother and I have no trouble communicating. On the other side of the Atlantic…. Given the tumultuous state of the upcoming presidential election with Donald Trump leading the delegate count in the Republican race, opinions of Americans amongst the French have since declined. They are disappointed in their ally, as they should be. Although I am unable to speak from personal experience, a friend of mine wrote a Facebook post that detailed her experience in Paris. She describes being asked how our country can support a candidate as wildly outspoken and pompously ignorant as Trump, to which she recalls a feeling of being “lost for words.” Just as I have previously explained Americans’ narrowed view of the French, the opinion that all Americans are enabling and supporting Trump is infuriating. Due to my four months abroad, I was too late to submit an absentee ballot. I surely would not have supported and would have in fact, endorsed any candidate but him. I have included a picture of what appears to be an American southerner greeting a French man, who is sitting on the same bench, with a huge smile. The American is sporting a loudly printed shirt with a baseball cap and a large camera around his neck. 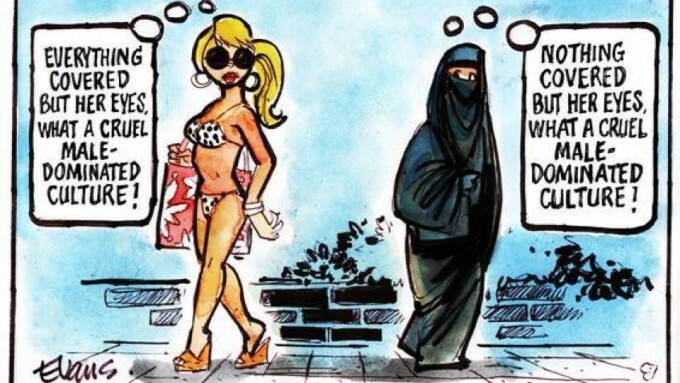 I liked this image in particular because it portrays the common misconceptions between each culture. One key element of the American stereotype is that we all wear white tennis shoes. Interestingly enough, white Adidas are extremely popular amongst the French youth. I think this fashion trend that is continuously gaining status is symbolic of the breakdown of cultural typecasts between the French and Americans. Although it seems ridiculous that a sneaker could change the view of one culture, perhaps in the future we will see this new footwear fad spark a series of cultural adoptions, instead of barriers, between both France and the U.S. I can honestly say that I didn’t know much about Spain or its culture before coming here. In fact, now that I have been here for two months, I might even say that I didn’t know anything. It sounds bad to say because I was uneducated about my new host culture when I arrived, but I think a good plus side to this was not walking in with a ton of stereotypes. If I had to come up with one assumption I made about the Spanish, it would probably be that people in this country are generally lazy. It’s hard not to assume that when you see all the people that are out and about during the day and think “Why aren’t they working?” or when you see them enjoying beer or wine at 2pm on a Tuesday. The concept of siesta was especially mind blowing to me. The whole country just goes home to take a nap for 3 hours? Seriously? Even the relaxed mindset of the people drove me crazy when I first got here. Everyone walks at snail speed on the streets, and its normal, even customary, to arrive to an appointment or meeting at least 10 to 15 minutes late. Coming from New York and living less than an hour from the city that never sleeps, this was a big change-up for me. informed about their rationales. My professor showed us this cartoon, which really stuck with me and gave me a good understanding about cultural differences and how easy it is to make assumptions without understanding. clotheslines. So based on what I have seen and learned, there are definitely valid reasons for this stereotype about America. 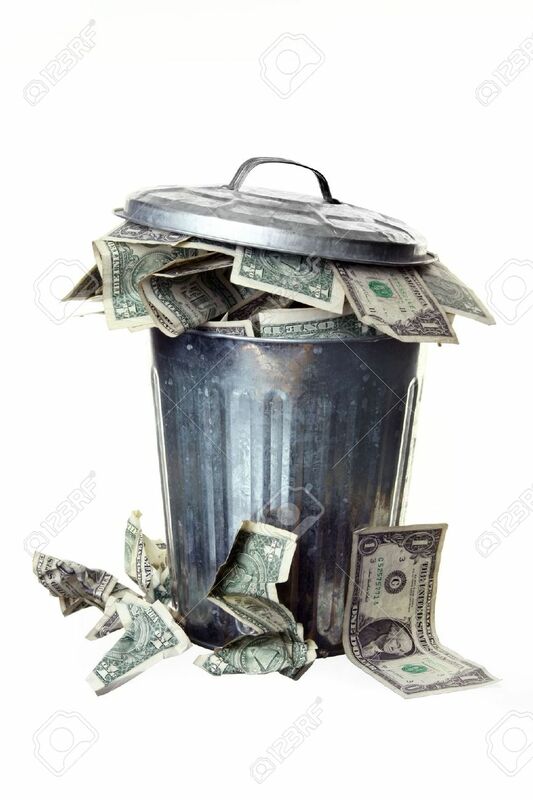 I think this image portrays that not only do our wasteful habits hurt the environment, but also our wallets due to the amount of money we throw away. We could all easily adapt to more eco-friendly lifestyles and save a ton of money. This also goes hand in hand with other countries’ stereotypes about Americans being spoiled. We waste so much unnecessary energy and money to live our luxurious lifestyles. Sure it’s nice to have machines that wash your dishes or dry your clothes, but if you step back and look at the big picture, we could absolutely live without them and many other extras. I’m sure that at one point in time all people will encounter some sort of stereotype in their life. Often different races and ethnicities are painted in different lights. In France, I take a class on the perception of the Islamic World. And even here in France, with recent events and selective memory, they view Muslims a certain way. In the same way, those of other cultures will have selective memory and use this to fuel stereotypes. Like Hafez Adel says, stereotypes endure because they provide a comfortable shortcut” And I believe this is true. Even as open minded as I was to coming to France, and learning about the French culture. I will admit I had some stereotypes in my head. I had the preconceived notion in my head that the French were mean, overly romantic and not very helpful to those learning the language. And now that I have been living in France for two months, I find these stereotypes to be completely untrue. Granted, the French do drink wine with their meals, and are usually walking home with their baguettes and some cheese. But I realized how much stereotypes can come off as disrespectful and uncomfortable. It is common for the study abroad student to be American. And so often times, when I am in a restaurant or bakery I will be asked where do I live in America. I once had a conversation with someone who went on and on about how Americans not only do not know how to speak French, but they are also incapable of doing as the French do. And when I finally corrected the person and told them that in fact I was a British Jamaican, they then asked if I drank like a fish, swore like a sailor and smoked weed while listening to Bob Marley. I was asked at what age did I learn to speak English, even though contrary to popular belief all Jamaicans speak English. Nothing upset me more. Like Adel says, stereotypes often emerge in an effort to fill a vacuum of knowledge. Rather than getting to know the cultures and subcultures of a country, individuals often assume that all people that reside in a specific area must be the same. Often times, in my own home country, I will hear how people identify differently, and though yes we do have some rastafarians within our population they are a minority and not a majority. But to debunk this stereotype would stray too much from taking the comfortable shortcut. It is the same with Americans, though they do not all identify in the same way, to the rest of the world to reduce this complexity, one just groups all people together. There are things that have proven or I’ve seen are true while living in France. Just in the same way, we expect individuals to debunk the stereotypes surrounding our own countries and cultures, we too much be open-minded to debunking other stereotypes of other people. And viewing things with an open mind, and open eyes. I am of the opinion that by doing this, by exploring and debunking stereotypes one gets to learn more about the culture of their host community. Coming to Belgium, I did not know of any stereotypes about my host culture. I knew that Belgium was known for its chocolate, beer, and waffles but that is not exactly a stereotype—more a matter of fact. Belgium is such a small country that globally it has few known stereotypes, however within the European bloc Belgium has been subject to ridicule. Called by France as semi- France and labeled by the Swiss as having bad chocolate, these are some of the nicer things that have been said about the Belgians. Even within its own borders, Belgium has stereotypes deeply engrained into its culture. Once I got here I learned about the conflict between the native Dutch speakers and the native French speakers. Each group has made up many stereotypes for the other population. Meanwhile, the German speakers who represent less than 1% of Belgium have been relatively left alone. Belgium is split into 2 regions: Wallonia, the French speaking south and Flanders, the Dutch speaking north. While, the German speaking population resides in Eastern Belgium by the land bordering Germany. Brussels is a special exception to Belgian geography because it is technically in Flanders but is almost entirely French speaking. What I mean to say is you will get dirty looks if you try and use Dutch to get around. The Dutch view the French speaking population as the dumber half of Belgium. And it’s kind of true, students of the Dutch-speaking school system score significantly higher on standardized tests. Residents of Flanders view themselves as very hard workers and see the Walloons as lazy. I am not as well versed on the stereotypes the French have assigned to the Dutch but generally they believe the Dutch give too many kisses and watch too much television. While these stereotypes seem light and childish, the Dutch legitimately think they are better than the French. And in the battle of languages (but language only) I side with the Dutch. Living in Germany has really colored my perception of the French language and by default the people who call this language their mother tongue. Linguistically, Dutch is the language that bridges German and English. My experience with German has actually led me to favor the Dutch language in Belgium. Some of the students that I have become friends with at my university are originally from Flanders and though they can speak perfect French, claim they have a “distaste” for the language. It’s hard to describe exactly why, but the Dutch sounds (and German as I’ve found out) are very different than the ones in French. It’s physically challenging to speak the other language. And throw in the fact that the Dutch view the French as inferior; they will not try to accommodate them. A stereotype at my university, regardless of what language you speak at home, is that only the most academically gifted students pursue a minor. It is far less common to do so than in the United States. This was very surprising to me because as a communications major I had to declare a minor. When people asked me what I studied the first week of this semester and I said I had 2 minors, people looked at me like I was Albert Einstein reincarnated. While I liked the attention, I think this stereotype endures because the quality of education in Belgium (even in the “dumber” French schools) is very good. They do not need to add a minor to their studies and those who do, do so because they want to. On the other side of things, Belgians view the Americans as “cute.” They do not take us seriously. This is ok for me because I try to speak French to the best of my ability and when I fail (which is quite often) they have no problem speaking in English to me. This is very different than the French who sneer at Americans that try to make an effort speaking a language other than their own. This weekend I will be traveling to Paris and I’m a little nervous about how I will be treated. My experience in Belgium as an American has been very good. I’ve had the opportunity to meet and talk with the American Ambassador to Belgium and when she was describing her family’s transition to life in Brussels she had nothing but positive things to say. I had way too much fun looking for a picture to accompany this post and in the end I couldn’t choose just one. The first is a map of what Americans associate with each European country and I was not surprised to find out that this was chocolate for Belgium. At the same time, it’s anticlimactic because this isn’t a stereotype—there is actually chocolate in Belgium. Godiva was founded in Belgium in 1926 and in the United States this is considered high quality chocolate so of course the Belgians get a chocolate label. In Belgium, though, Godiva is equivalent to Hershey’s. There’s better chocolate out there but Godiva will get the job done if you are having a serious craving. The second map I am posting with this entry is how Bulgarians view Europe. I found this map much more interesting and thought provoking. The Bulgarian’s labeled Belgium with the term “God.” This stems from the capital of the European Union being located in Brussels. It is a very common view within Europe that the Belgians abuse holding the seat of, whatever you classify the EU as. Other common stereotypes claim that the Belgians are bureaucrats who love their paperwork. While I can personally attest that Belgian’s love their paperwork this does not have the same sinister connotation that “God” does. This dark and power hungry image is what Belgium is to many other European countries. However, I don’t necessarily think this is the Belgians fault. Skepticism of the EU is running at an all time high and it is important to separate Belgium from the EU because they are not the same. And I think that Belgium has taken on reputations that only the European Union should hold. “The French are rude” “They smell bad” “All they consume is either cheese, bread or wine or all the above” “They don’t like Americans” “French people never work” “They have exceptional clothing quality” “They’re such a romantic culture” and so it goes. These are the majority of the stereotypes and preconceived notions I had heard before coming to France nearly two months ago. I confidently can attest that the majority of these stereotypes hold true—in the most endearing way possible! While yes the French have the possibility to be dismissive, there are plenty of people who will spend all the time in the world trying to help you. While, yes the French can smell bad, it doesn’t help that being in a confined, hot classroom all day helps their case. Sure they might eat a lot of bread and wine and cheese, but hey who ever said that was such a bad thing?! My point is that these stereotypes mainly hold true, but that does not mean that every single person in the country of France embodies it. This is one of the many things I’ve learned while being abroad is that, stereotypes, while they virtually exist everywhere are natural to human perception. We group people in particular ways subconsciously and assimilate people with similar traits—its natural! Some stereotypes are only noticeable though once living in a place for an extended period of time. Thus far I think the only stereotype that you would need to actually live in France to understand is their clothing choices. After a few weeks of classes and looking around to see what my peers were wearing I noticed an abundance of re-worn outfits—totally not a bad thing since I am guilty of that too. But from what I’ve seen for the most part is a higher quality choice of clothing and accessories than an excessive amounts of low-quality clothes. Even then, this stereotype is a not negative by any means and if anything is a compliment to the French for their quality and style! As for the French I can’t speak entirely on their behalf but I have picked up on little cues during various group projects, out to dinner and so forth. I suggested once that we use a “google doc” as a PowerPoint so I too was able to contribute on my computer since I’m not familiar with the French keyboard (which by the way is different). After a quick little scoff I got the response “You Americans love your google docs”. I wasn’t quite sure how to respond since to me it just seems the most efficient way to all work together. After some thought about it, I realized that is the stereotype—“us” Americans look to be efficient and don’t realize that sometimes other people don’t understand how to use an operating system such as google docs. Long story short we did not use the google drive for the project and we ended up using regular PowerPoint and sending the document to one another as soon as we finished our individual part. The only stereotype that majorly does not even hold true is that all French wear stripes, neck ties and berets. That’s why I’ve chosen this photo, to represent the utmost French Stereotype from head to toe. There are some elements that are true such as the smoking, baguette and wine bottle. Yet, they are not stereotypes here they are a culture. For example, I have three hour classes with a 15-minute break at the 90 minutes. During this break practically the entire school can be found in the front courtyard taking a cigarette break as a means of social communication. Another example is that almost everyday on my way home from school I can see someone carrying a baguette—not because it’s a stereotype but because it is their culture to get fresh bread daily. This is how they grew up and how they know how to go about their daily lives. Living in France has helped open my eyes that these stereotypes we hold about different culture may hold true but that is because it is a part of their culture and who they are as a nation. Travel Log 9. “Exploring Stereotypes” By Taylor Chelo. Perugia, Italy. When I think of the word “stereotype,” I think of the negative connotation that it is widely associated with. However, after reflecting more upon the meaning of stereotypes and why they often come to mind, I am starting to think otherwise. They don’t always have to be negative. I believe that it is natural for a traveler like myself to assume things about one’s host culture before truly getting to know it. We sometimes depend on stereotypes in an effort to understand the culture we are about to immerse ourselves into, especially when we are nervous for the lifestyle adjustments that lie ahead. I would be lying if I said that I had no preconceived notions of Italian culture before arriving here in Perugia. My personal experiences both back at Quinnipiac and here at the Umbra Institute have helped me readjust my worldview about my host country’s culture. This past summer, I had the opportunity of being an Orientation Leader for Quinnipiac University. One of the most valuable lessons that I learned during our week of training was about the consequences that come with microaggressions. A fellow Orientation Leader recently wrote an article for the Quinnipiac Chronicle titled “Microaggressions Have a Macro Impact.” I had the chance to read it and refresh my memory about the definition of a microaggression: “A microaggression can be a verbal, nonverbal or environmental slight that—purposely or not—hurts a person who is part of a marginalized group” (Kasam). For instance, my new study abroad friends and I were talking about our ethnic identities over dinner one night. Many of them could “see” the English, Irish, and French Canadian in me given my fair skin, blue eyes, and collection of freckles on my cheeks, but they were so taken back by my Middle Eastern Albanian ethnicity. “You don’t look Albanian, though? !” many responded as they looked at me head-to-toe. This is what you would call a microaggression — a statement that comes out nonchalant, but holds underlying discrimination based on one’s skin color. Erin Twomey and Daniel Brown, the Orientation Program directors, along with a few informative speakers, taught us how we must think before we speak so we can respect the identities of all the incoming students so we can foster a diverse, yet inclusive community at Quinnipiac. Little did I know then that this knowledge would be taken with me beyond America’s borders. I have not only learned about handling microaggressions and stereotypes back in the States, but I have also learned about those regarding the Italian culture in my classes here at the Umbra Institute. For example, in my Education in Italy Seminar, we were asked to read a chapter from Martin J. Gannon’s Understanding Global Cultures: A Metaphorical Journeys Through 23 Nations titled “The Italian Opera.” This reading was very eye-opening since it presented common stereotypes of Italians through the use of metaphors pertaining to musical pageantry. For example, one of the assumptions I made from spending a great deal of time with Italian friends of mine was that Italians are speak loudly and with their hands. The picture shown on the right conveys this American stereotype of the Italian culture. I never knew the reason behind this stereotype until I read what Gannon had to say: “[…]like the opera, the sound and cadence of the communication play a role at least equal to the content of what is said in getting the message across[…]Italian gestures are based on natural and instinctive movements and can therefore be understood by inexperienced at first sight” (Gannon 49-50). After reading this excerpt, I realized that I, too, tend to speak loudly, especially when I am excited or believe in something wholeheartedly. It is likewise for Italians who speak with the utmost passion. As a student studying the basics of Italian, the use of hand motions while ordering a meal or expressing a thought tends to be very helpful, too! After having the opportunity of living in an Italian city where they rarely speak English, you begin to truly appreciate the beautiful language that is like music to your ears. My History of Italian Food and Culture class has helped me in distinguishing between the fact and fiction of Italian food, along with the stereotypes Italians hold regarding American cuisine. I am going to be honest, after admiring the adorable, short, and rotund Italian grandmothers that I have seen at the local Italian market back at home, I always thought that the general Italian physique was the same due to their large appetites. I stood corrected as I saw tall, slim natives strutting down Corso Vannucci like models as I stood at the top of my street’s hill, huffing and puffing from the hike. As I have learned from my class, the Italian cuisine is comprised of simple ingredients with no preservatives or GMOs like in the States. Traditional ristorantes may expect their customers to indulge in six full courses, but each course is portioned perfectly so as to save you from gluttony and food comas. Needless to say, I will never judge an Italian by their cuisine ever again. Italians also have their share of stereotypes based on American lifestyles, especially on our attempts at imitating their second-to-none cuisine. One of the major lessons taught in my History of Italian Food and Culture class was that Italian food does not exist. The country of Italy did not become a unified country until 1861. Thus, there is still a rivalry between the Italian regions’ varying food cultures, fueled by each one’s campanilismo, or passionate regional pride. The physical landscape and climate of each region influences their food culture and what dishes they are most known for. For example, the northern Italian city of Bologna is known for their fresh meats and dairy because they have the vast plains to domesticate animals to produce them. Southern Italy’s regions are the homes of bright and bold vegetables due to their warm climates. The island of Sicily is the haven of all seafood pasta dishes thanks to their fresh catch. Thus, the generalized term “Italian food” derives from American culture. Ever since the Italian immigrants settled in small, close-knit neighborhoods in America, we have been trying to imitate their irreplaceable cuisine, a cuisine that was a melting pot of regional differences whether we knew it or not. We have come to Americanize Italian dishes, like topping pizza pies with buffalo chicken instead of the simple mozzarella and basil, or pairing spaghetti with meatballs even though they are considered two separate courses in Italy. All in all, Italians are proud of the unique cuisines that they have crafted in their different regions, and, because they uphold tradition, they cannot fathom their prized dishes any other way — not even the American way that we have come to know and love. Hafez Adel, a University of California at Irvine student who studied in Barcelona, Spain, wrote an article entitled “Slashing Stereotypes” for the magazine Abroad View. Now that I have thoroughly explored the stereotypes rooted in the American and Italian cultures, I, like Adel, have learned that “what we [lose] in certainty, we [make] up for in understanding” (Adel). I have discovered that study abroad students like myself should not solely depend on our preconceived notions of our host culture. Instead, we should leave our assumptions behind and let our curiosity be our guide. Adel, Hafez. “Slashing Stereotypes.” Abroad View Spring 2009: 26-28. Web. Sage Publications, 2001. 42-65. Print. Kasam, Afsha. “Microaggressions Have a Macro Impact.” Www.quchronicle.com. Quinnipiac University, 2 Mar. 2016. Web. 03 Mar. 2016. Something else that I personally thought that I would encounter was a lack of diversity when coming to England, but that was definitely contrary to what I thought. Even just riding on the tube or sitting in a coffee shop, you will here a plethora of languages being spoken at the same time. People at home told me that London was a lot like New York City, except it was a lot cleaner and I have to say they were right. This city is a metropolis in every aspect; there are a number of different districts that you might find yourself in in the city and each of those districts are defined by a different aspect or culture. In spending time with not only my flat mates, but also my classmates, and just the general public a stereotype that I have come to notice that someone might not see or hear about as a short-term visitor or someone who had limited knowledge of the host culture is that hipsters are viewed as a lesser individual in society. I am not sure about the reason why this “culture” is different from anyone else, they may be seen as lazy, living an alternative lifestyle or people might think that they’re just weird, but the proper English people that I have met see hipsters differently than we might in the United States. One thing that is quite popular here in the United Kingdom is that when a party is thrown, there is always a theme to said party. One of the themes that I had heard of that made me listen closer and quite honestly laugh was an American themed party. It interested me to hear of the stereotypes that people associate with Americans and how they would typically party. That involved wearing flannel shirts, drinking from red solo cups, playing beer pong and listening to country music. It made me laugh and kind of question why it was somewhat of a southern/ country point of view that we are associated with and I guess its because that is a lot of the things that people might see on social media, especially from a university student and someone who is likely to go out and party or consume alcohol. I think this is only one standpoint that people see. Another stereotype that I have heard from people is that Americans are typically overweight and that I think came about with the obesity rates and the sharing of knowledge. We as Americans are viewed as having an unhealthy diet especially because of the foods that we consume on a regular basis and the amount of sugar and processed foods that we consume as a nation as a whole. I think there are valid reasons for the stereotypes that have been created towards Americans and I also think that some of the stereotypes that might exist are due to a void that has been created because there are so many different types of people in the United States and the nation as a whole has been put into a set of standards. On the flip side of things, when I was coming to the United Kingdom, I was expecting to be made fun of for the way that I say some things and that has obviously happened but I wasn’t expecting to hear British people tell me that they preferred the accent that I had and the way that I pronounced some things. Something else that I was not expecting was for people to be so approachable and nice to foreigners. When I arrived in the country, I walked up to people asking for directions and they were more than happy to point me in the right direction. I was expecting people to look at me as a “stupid American” and send me on their way but I quickly found that it was the complete opposite. In order to get an image of the way that Americans are viewed to the rest of the world I decided to use this one to represent what most people think about the people that they might encounter if they were to leave their home country and come to the United States. Besides the fact that these children are overweight, I have seen that here in the United Kingdom people take so much better care of themselves, in the things that they eat, the way that they live their lives as well as t he way that they treat the environment that they live in. I know the a lot of the same things happen at home, but I think its to a more serious degree here in the United Kingdom. One thing that I see so much more now that I am living away from home in a different country is the fact that we consume so much fast food in our country and I am not only talking about literal fact food from places like McDonalds, but also frozen foods that we simply put in the oven and heat up because we don’t have the time to go to the market and get fresh ingredients. Here in the United Kingdom, most people go to the market every single day to get the ingredients that they need for the day and then repeat the next day. By choosing to study abroad in the United Kingdom, I am able to help dispel the views that people might have about the United States and the so-called “ugly American”. Just as Slimbach noted in his book by carrying knowledge “Not only will we be better prepared to interact intelligently with residents, we will more naturally act in ways that dispel the stereotype of the clueless and self-absorbed ‘Ugly American’” by carrying the knowledge that I have, I am able to show the rest of the world that Americans are not what everyone thinks them to be and that may only be a small portion of the country that they believe it to be. By learning from the world, the world learns from us. Stereotypes are encountered in varying degrees by every group of people on the planet earth. Hafez Adel, a University of California at Irvine student wrote an article titled “Slashing Stereotypes” for the magazine Abroad View. She described stereotypes as a generalization of people emerging to fill a vacuum of knowledge. After reading this I looked up what the real definition of a stereotype was and in Meriam-Websters Dictionary a stereotype is, “a widely held but fixed and oversimplified image or idea of a particular type of person or thing.” I think combing these two partial definitions gives us the best definition of a stereotype, a widely held but fixed and over simplified image or idea of a particular type of person or thing stemming from a lack of knowledge or understanding. Before coming to Italy I had a few ideas of what I was going to be seeing everyday, stereotypes if you will of the Italian people. I half expected men with thick mustaches, in wife-beaters with old pasta stains on it, speaking through a heavy accent, while over gesticulating with their hands. The Italian women were the picture of fashion, gorgeous and always draped in the finest and most expensive clothes. And everyone in Italy had at least a cousin that was in the mafia. But for the most part I was wrong about these Italian stereotypes. Yes, the majority of Italians do talk a lot with their hands but its always to convey some point they are making better. I was right about the women being beautiful and dressing to the nines for every occasion but surprisingly Italian men dress just as well. Now the mafia stereotype was very much a stereotype in my region but down south in Sicily having family in the mafia is not something to assume but its probably true. One issue with Italian stereotypes is that Italy is still so new to me and each region is so culturally different that most of the stereotypes I know are about the American-Italians. Within Italy there are pretty major stereotypes between the different regions and I found a small list online that compiles it pretty well. Apulians – Pugliesi, Apulians, are said to be proud and ironic opportunists. Calabrians– People from Calabria are considered mistrustful and stubborn. Genoeses and Ligurians – People from Genoa and, more in general, from the region of Liguria, are said to be tirchi or stingy. Lucani – People from Basilicata are considered stubborn. Milaneses – People from Milan are renowned, following the cliché, for being arrogant, cold and efficient in the working world. Neapolitans – people from Naples are considered noisy, superstitious and good at making pizza. Piedmonteses – There is an Italian saying referring to people coming from Piedmont: Piemontese falso e cortese, which means Piedmontese are kind, but false. Romagnoles – People from Romagna are famous for being passionate, greedy and feisty. Romans – Two adjectives are often attributed to people from Rome: noisy and burini, the Roman dialect equivalent of being a hillbilly. Sardinians – People from this gorgeous island are said to be proud, stubborn hicks. I know there are a lot of stereotypes about Americans but I am glad to say the group I am with breaks a lot of them. I think many Europeans view Americans as fat, arrogant, gun toting, and loud. Which I hate to say it but, that isn’t too far off depending on where you go in America. My group in Italy is different we are relatively fit, the majority of us are invested in the culture here and try to leave our arrogance at home, there don’t seem to be too many gun toting Americans, and finally we are defiantly loud. I think most of these stereotypes have emerged because of media portrayal and are very loosely based on facts, much like our stereotypes of other cultures. Stereotypes are defiantly used to fill a vacuum made from a lack of understanding like Adel suggests. However, in a few instances the stereotypes are very true and completely accurate of what life is really like. The image I chose to accompany this travel log is one of the ones I found when I googled “American stereotypes.” I think it accurately represents the extreme version of the fat, arrogant, gun toting, and loud American that some people might jump to think about. I do however think that interacting with any of the students in my abroad program would quickly change a persons’ view of a stereotypical American. I think the only way to get rid of stereotypes is to go out and meet people from that culture.